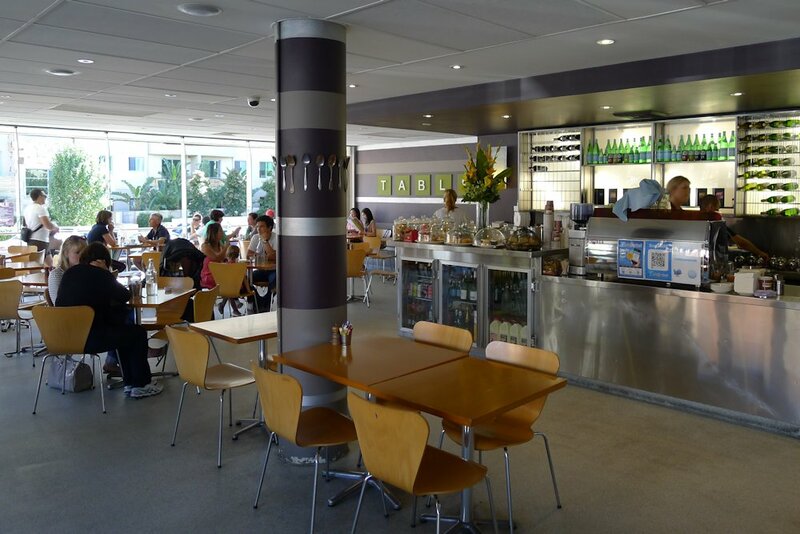 Tablespoon is located in the car park of Lindfield shops and thanks to it being situated on the corner, guests have the choice of sitting outside in the sun or the shade, as well as inside. Wherever you choose, eating is plentiful. The interior is very clean, open and industrial and not as noisy as I was expecting (the clientele seem to be quite docile and relaxed). 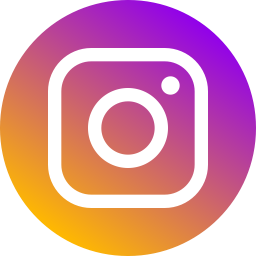 I had no problems with the service during our visit but at the same time there was nothing standout about our interactions either. They were courteous and professional however. 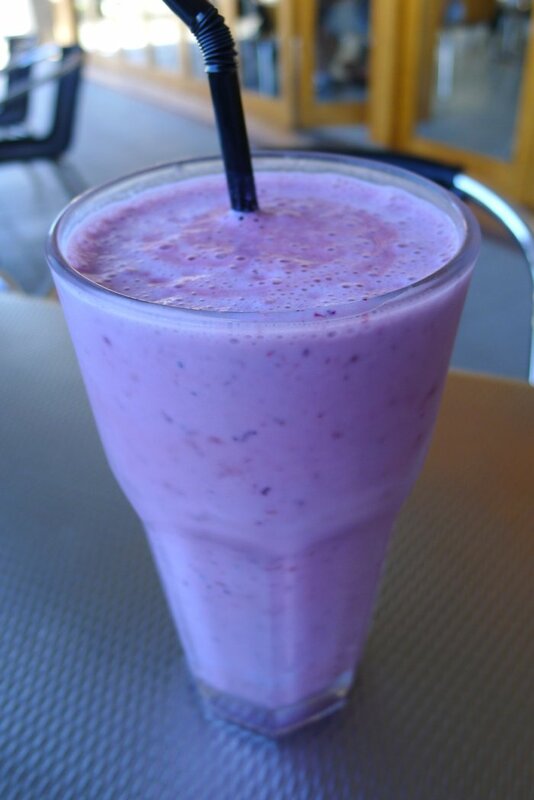 We were off to a great start when I tried my berry smoothie ($7.50). It had a decent thickness and best of all, a tremendous mix of berry flavours. This was definitely one of my favourite smoothies in recent months and they can also be had with mango, passionfruit or banana. Milkshakes (regular $4, large $5.50) are also available in all the usual flavours. 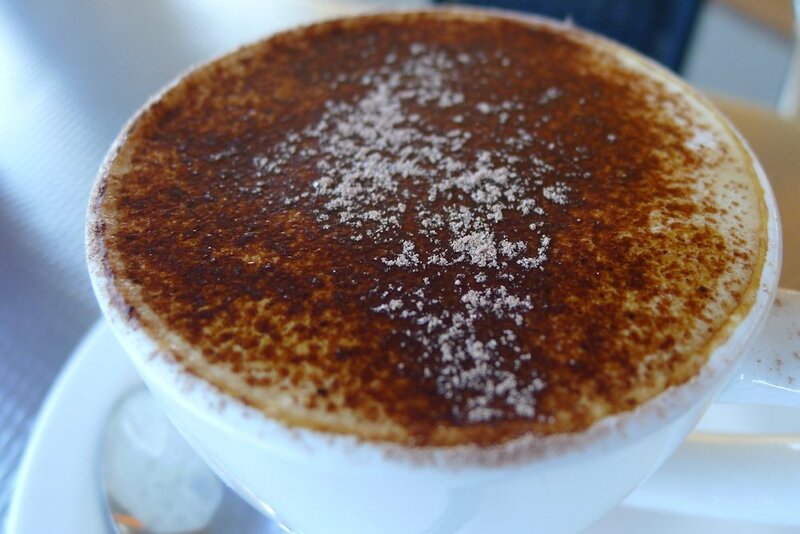 Our Di Gabriel coffee ($3.70) continued the run of fabulous drinks with our cups of artfully presented and created brew certainly ticking all the boxes. T2 teas are available for either $4 or $4.50 as well as beer ($6-$7.50) or wine by the glass ($7.90-$9) or bottle ($28.50-$39.90) at lunch time. The corn fritters ($18.90) were the culprits for taking my attention away from the open sandwich of pulled sticky pork with apple and roast crackling straws ($19.20). I craved the flavour of this Sydney breakfast classic. 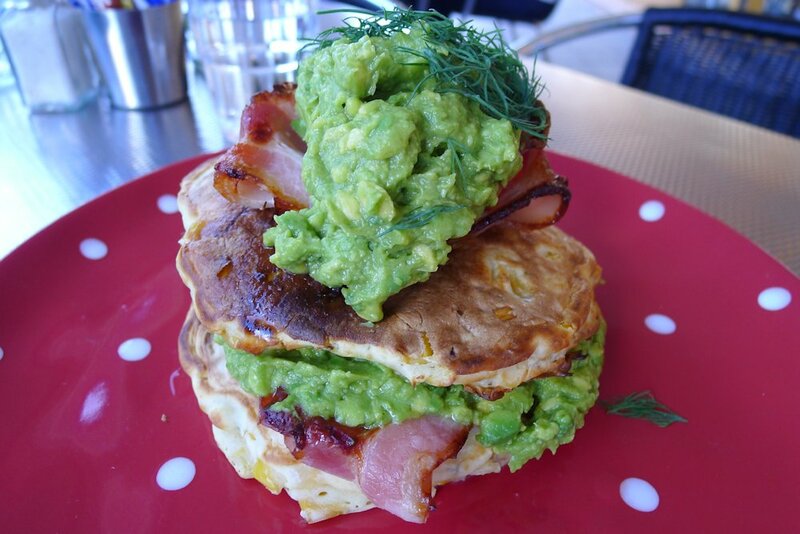 Tablespoon offers theirs with either smoked salmon or bacon and both are served with lots of smashed avocado. I enjoyed the flavour of the fritters themselves and they were fluffy albeit a bit on the dry side. You couldn’t argue with the portion size though – very generous with lots of everything (notice the second layer of bacon and avocado between the fritters). The special this weekend was French toast with bacon or banana ($16.90) but my guest ordered both which I think was a wise choice. The toast was thick but because it was a brioche, it was delightfully soft and easy to cut. 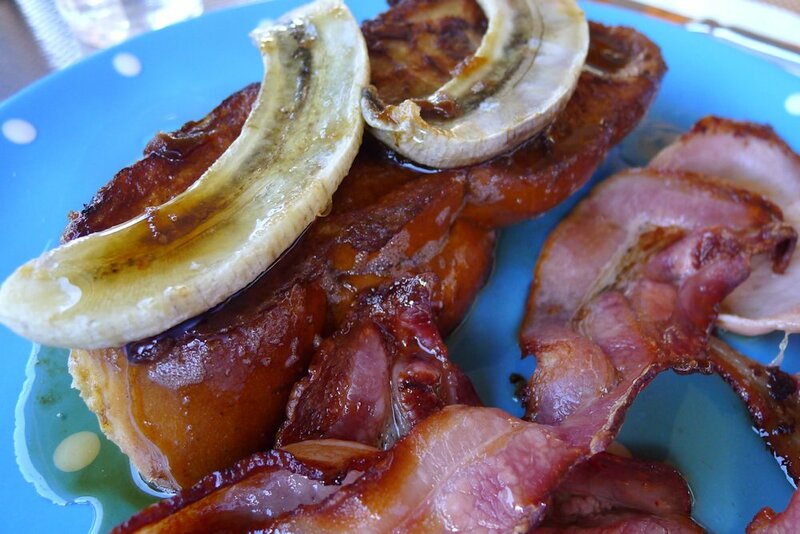 The banana was slightly pan fried as we had requested and the bacon was crispy and plentiful. The weekend ‘brunch all day’ menu has plenty of dishes to satisfy including the Tablespoon BLT with fried egg & tomato chutney on Turkish roll ($14.90), eggs Benedict with ham or smoked salmon (which would make it eggs Atlantic) ($16.90), double baked spinach & ricotta souffle with roast tomato sauce & parmesan and a slice of sourdough bread ($18.90) as well as a plethora of sandwiches, muffins and cakes. If you’re in the area, you should definitely visit Tablespoon for their lunch sandwiches. While the breakfast was enjoyable, nothing was exceptional other than the coffee or beverages. But for caffeine addicts, maybe that’s enough!